Where: The Bartlett, 228 W. Spokane Falls Blvd. Are you worried about the state of bees? Ever have one of those days when you want to take your to-do list and send it to the moon? Do you ever have a craving for other people’s pizza, but only if it’s cheese? 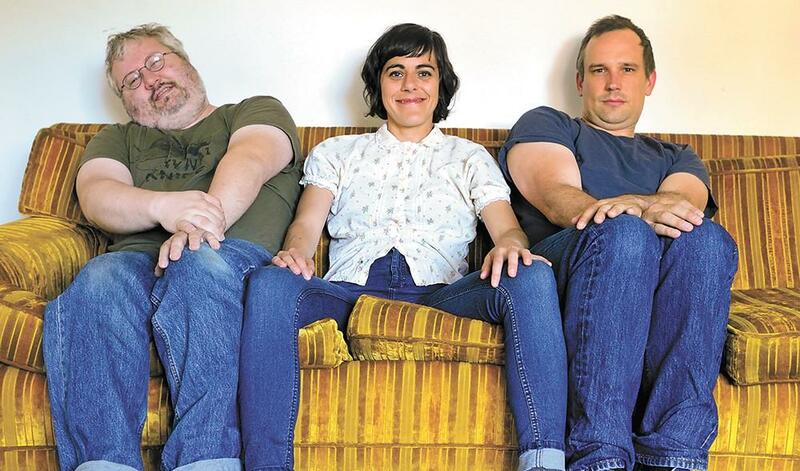 Seattle punk trio Wimps know how you feel. On the band’s latest album “Garbage People,” which was released in July, bassist/backing vocalist Matt Nyce, drummer Dave Ramm and singer/guitarist Rachel Ratner highlight universal experiences over the course of 13, rapid-fire songs. Instead of recording the entire album in one weekend, the band recorded “Garbage People” over the course of several weekends last summer. With the extra time, the band was able to experiment with arrangements, adding more percussion here or vocal harmonies there. The extra time also benefited the band’s songwriting. Though the songs on “Garbage People” aren’t without Wimps’ signature cheekiness, they have been partly influenced by how the political climate affected members of the band. Published: Aug. 23, 2018, 11:56 a.m.